6 Tips to Pay Off Credit Card Debt Faster! Credit card debt is the worst type of debt. People fail to pay off credit card debt. Most of the time the debt relates to retail purchases that do not retain resale value, which is why the debt is so hard to shift, and why it builds up so fast. Credit cards usually have higher rates of interest than almost any other kind of money lend – this is another reason the amount you owe seems to rise almost faster than you can pay it back. Today on my way back from work, on NPR radio I heard about declining credit card delinquency rate in the US, in fact, delinquency is at 7 years low right now. That was very good news for us. and a sign of recovering the economy but if you see deeper, the problem is still intact. Problem with paying only paying the minimum due amount every month. After regulation Z or card act of 2009, all card issuers and banks must have a tabular amortization calculator in account statement. Have a look at that tabular calculator and see when you just make a minimum payment how much time it’ll take to pay off your entire debt. It’ll take years to even pay off a small $1,000 charge on your card. Now when you continue to charge your card, while paying just the minimum balance, your amortization period keeps on increasing. The debt simply doesn’t go off, it falls on the heirs after a deceased card member. There are ways to pay off credit card debt, more financially responsible you’re, faster you can pay off your debt. Here we will talk about strategies to pay off credit card debt faster. For more information on credit card debt and how to avoid it, you can even consolidate your debts on your own. Look at previous month’s statement for my Chase account. I had a balance of only $799. I had a minimum payment of $25, which is very low and can be paid easily. People do go by that number and pay only $25. The table below shows that if I continue to pay the minimum amount every month, without making any additional purchase, I can pay off my balance ($799) in 3 years and I would end up paying total $968. Now if I continue to charge next month, a few more years will be added on top of 3 years. So, basically, I’d continue to pay interest charges throughout my life. The only way to really get free and clear of your credit card debt it to make more than the minimum repayments each month. Just making the minimum repayments will keep you in debt to the card companies forever – which is, of course, what they want. A significant portion of their earnings come from interest charges on balance amount. This is exactly how cards are supposed to work. To beat the credit card companies at their own game, you’ll want to pay your card balance down to zero every month. Pay off your credit card debt by aiming for the one with the highest interest rate first. But, paying the highest interest debt first may not be the best option psychologically. Debt elimination is a journey and you may need some quick success to get going. While financially, paying off the highest interest rate is the best option, yet some expert suggests a “Debt Snowball” method to eliminate debt. As per Dave Ramsey, a personal finance guru, this debt snowball method helps emotionally when you’re undertaking a debt elimination journey. Gather all the spare cash you can, and pour it into this account. Sell your spare bits and pieces, get a night shift job if it helps, but get this big monkey off your back. Keep making the minimum repayments on your other cards – you’ll get to them once this one’s paid down. As soon as the biggest money-eater is paid down to zero – never use it again. Cut it up if you don’t think you can resist. Then take the amount you were paying onto that card, and pour it into the account with the next highest interest rate, and so on. This way you’ll build debt reduction momentum. 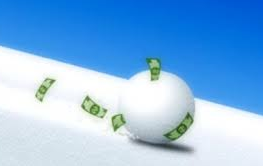 However, with debt snowball, you first pay off the debt which has the smallest balance, it may not be of highest interest. Once you see one debt eliminated, you can then concentrate on the next higher debt. Like a snowball, it gets bigger and faster as it moves. There is a lot of free balance transfer offers around these days. 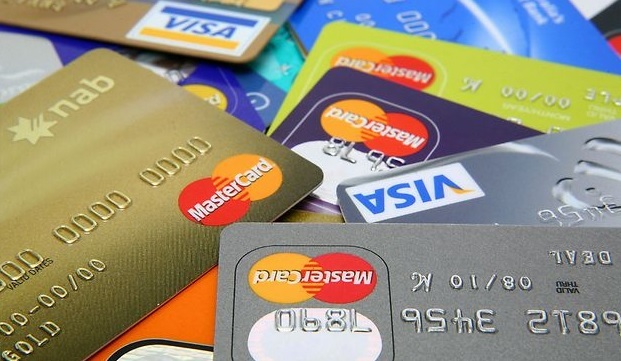 Find one that works for you (remember to read the fine print), and consolidate your credit card debts onto one card. This will simplify your repayments and save you interest charges. If you can get everything in a 6 month (or 12 or 18) interest-free balance transfer card, do everything you can to pay off your credit card debt within the interest-free period. The faster you reduce the debt, the less it will cost you in the long run. Now if you’re in deeper trouble, you’ll probably not get a balance transfer card. Then the best option to consolidate your debts would be to take the loan from your retirement account if you have one. Repayments on retirement accounts charge typically below 5% interest, compared to credit card companies charging you sometimes more than 20%. Another useful way I always recommend to my readers and friends, to pay off credit card debt, take out a personal loan, at least try to inquire the interest rate first before applying. If you get a personal loan at a rate less than what you are paying to your credit card company (30%+ of the cases I have seen), then take out that personal loan and pay off all your high-interest credit cards. That’s why personal loans are also known as “debt consolidation loans”. Now you have only one loan to pay off, which has a lower interest rate. Check out the best personal loan providers where you can easily apply for a loan. You should definitely save money rather than spend it. However, if you’re carrying a chunk of credit card debt and you have any money sitting in savings accounts earning a few percent interests, paying off your card debt is a better investment of those monies. Term deposits pay around 4%; your credit card debt is likely costing you over 15% – over 20% sometimes – so clearing that debt is saving you money – and more than you’d be earning in interest on that cash. Having a budget and payment plan are good frameworks for getting rid of debt. However, these things only work if you stick to them. Get an accurate look at how long it will take to clear your credit card debt with a credit card payoff calculator. These can be found on your every statement. They help you calculate not just the payments toward the existing debt but also the interest. Often times, people go forward with a payment plan and forget that debt continues to grow. Credit card calculators give you a timeline, with all the information. This helps you stick to your budget and payment plan because you see the whole picture. Paying off your credit card debt requires some kind of repayment plan and a financial road-map, or a strict annual and monthly budget. Many people recoil at the ‘B’ word, but a budget is essential if you’re going to find the money to make extra repayments and clear that debt. Be strong, and get tough on yourself – you’ll soon see the benefits. Credit card debt often seems insurmountable but with focus, discipline and a little planning, you can get out from under it. Paying off your credit card debt is an achievement as well – the faster you do it, the sooner you’ll be able to afford to celebrate a win. You can even look for ways to earn money on the side, there are plenty. Whatever amount that you make on the side, use it to pay off credit card debt. When everything fails, there’s still a ray of hope available for you. Most banks offer some kind of hardship program, it’s their goodwill gesture. They don’t advertise it for the fear of misuse by other card members, who otherwise can pay their dues. Call your bank (number on the back of your card) and ask for specifically these two words “Hardship program”. You need to obviously be in hardship to ask for it, like job loss, sickness, disabilities, etc. By enrolling in a hardship program, you get an extremely low-interest rate and all fees are waived as well. 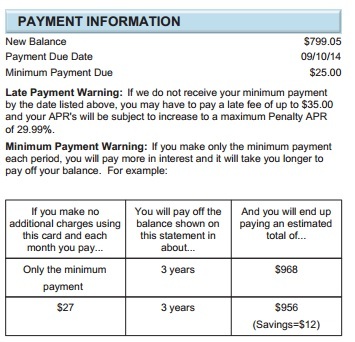 You basically pay a much lower interest rate on your unpaid balance. Readers, Got any advice to pay off credit card debt sooner? Share it in the comments box below. Amazing how credit card debt has become such an accepted norm in today’s society. I grew up not even realizing it was an option to NOT pay it all off each month! I am sure now that you thank your childhood. We should teach this to our children to not keep balance on credit cards. When my husband and I got married in 2015, we were $22,000 in debt. It was left over from Dontae’s student loans with some of it being credit card debt until my colleague then helped me clear my debts. I was just too impressed cos I never thought it was possible until he did it. I only had success with Ramsey’s snowball method. I tried paying the highest interest first, more than once, but never had any success. Maybe I felt like it was pointless, but I with the snowball method I was able to pay all my consumer debt is less than a year. Paying off the high interest card first makes more financial sense and you end up paying less, but the snowball has been proven to work better. It sure did for me. Actually it should be left to the individual. What works for you might not work for others. If someone is comfortable paying highest rate first and that should be his/her way. Debt snowball is highly effective, no doubt. There’s one more method that can dramatically lower your interest charges. First, check with your credit card company and confirm that you can use your credit card to pay regular living expenses from their credit card without incurring cash advance fees. Assuming this is allowed, the day you are paid make a credit card payment equaling the amount you were paid. This will immediately lower the balance on your credit card. Second, reschedule the date your bills are do to the end of your credit card’s billing period. Why? Your credit card charges you interest based on your average daily balance. When you shifted your income to the credit card, you dramatically lowered your balance. You want to keep the balance low as long as possible. By shifting the dates you are scheduled to pay your bills, you are keeping your balance lower longer. Leaving your money sitting idly in your checking account does nothing to help you achieve your goals. It only helps the bank. Your bank uses your balance as security to borrow up to thirty times your balance to make money. They pay you little or nothing for using your money. By shifting your income, you are depriving them of using your dollars AND you are lowering the amount of interest that you will owe them! This is keeping your hard earned money working for you 24/7! I see your point, so if you have a balance of $5,000 and your paycheck is $2,000, as soon as you get your pay check, pay the entire amount to your credit card balance and pay your bills with cash advance from your card company. 1. I don’t know if any card issuer allows cash advance without a fee. 2. If for some reason your card is cancelled or gets charging privileges suspended, then you’ll be in a big trouble. You can’t pay anyone. So, I’d not recommend this option purely on basis of second point. P.S. I would not recommend this unless you’re diligent and determined. Also, you might feel better with a 0% interest card, but for you who like to see magic, this is a no-brainer. I am too nervous to use money out of my savings account to kill off my credit card. I always wonder, “what if,” etc. I would hate to put all of that money on a credit card if a true emergency came up and I needed that money. Interesting! you are basically not earning anything on savings account and paying your credit card interest charges. Have you calculated your emergency need? If you do, you’ll then realize if you have more than adequate in your saving account. I would rather payoff my debt first after having just a couple of thousands in emergency fund. I understand it’s a battle between math and your instinct. But you know math doesn’t go wrong.. Brilliant suggestions. I think that many people don’t get out of debt, not because they don’t know how to, but because buying things on credit gives them instant gratification (all gain, no pain), while saving up for something is far less appealing. Yes it’s mainly mental, at least for 50% of people with credit card debt. Lack of farsightedness, lack of awareness, what ever you may call. Prevention is better than cure, so definitely not being in debt in the first place is the ideal situation to be in, rather than working on paying debt off. I think consolidating your debt is the most important, i will free up your time and you can use the extra time to earn more money to pay off your debt.